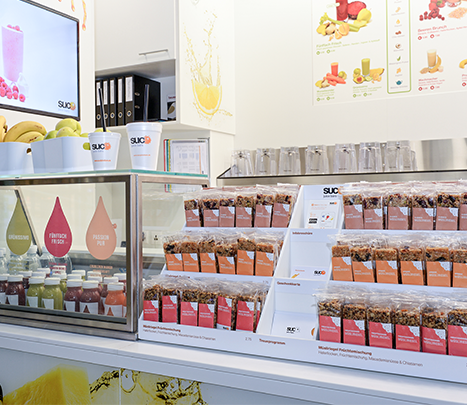 In 2009 we started our juice bar business and at that point we worked very closely with a professional designer. However, after just one year we felt that more marketing expertise was needed. 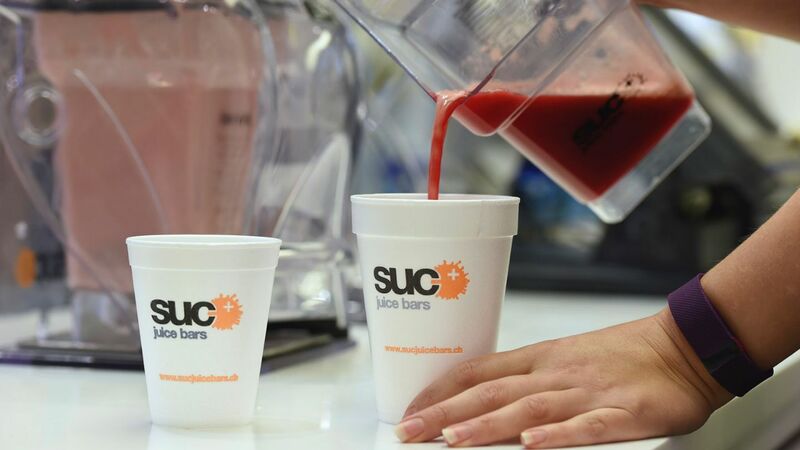 We therefore approached Together Creative and started working on a solid direction for the SUC+ brand. The purpose of this co-operation was to explore SUC+’s potential brand positioning, to consider the market, both audience and competitive set, and to develop a hierarchy of messaging that would enable SUC+ to present an appealing, consistent and recognisable message to relevant audiences. I was astonished by the way Together Creative approached this task. Not only have they provided fantastic results but more importantly I really felt that they cared about the business and its financial resources. As a young entrepreneur I can confirm that Together Creative is a very professional company with high integrity values. If you are looking for a partner to achieve mutual success, then Together is certainly the right choice for you! SUC+ is a long-standing client of Together's and despite working in different countries the sheer amount of work we have produced over the years makes the relationship a special one. 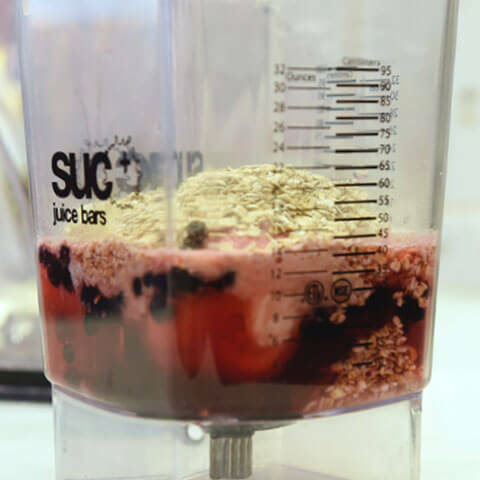 What matters to SUC+ has become ingrained in our daily consciousness. Staying aware of trends, looking out for new competitors and understanding what is happening and going to happen in the space becomes part of our daily lives. We share an ongoing conversation that enables us to deliver great results at a price that works for a sales driven business. They have divided their product range into four sections so whether you are looking for something indulgent, refreshing, filling, rejuvenating or seasonal SUC will have the product for you. We created an image which could work for any drink regardless of it’s flavour. Using the image of a cut-out drop allowed each distinct smoothie colour to show through with the drink details overlaid in white. These were different to other oat bars as they were baked fresh and ordered in small batches with only wholesome ingredients. Though interior design is not something we offer we frequently help SUC design the layouts, menu boards, point of sale, and help them decide on a selection of in-bar materials and surface designs. We are heavily involved when they open new stores. 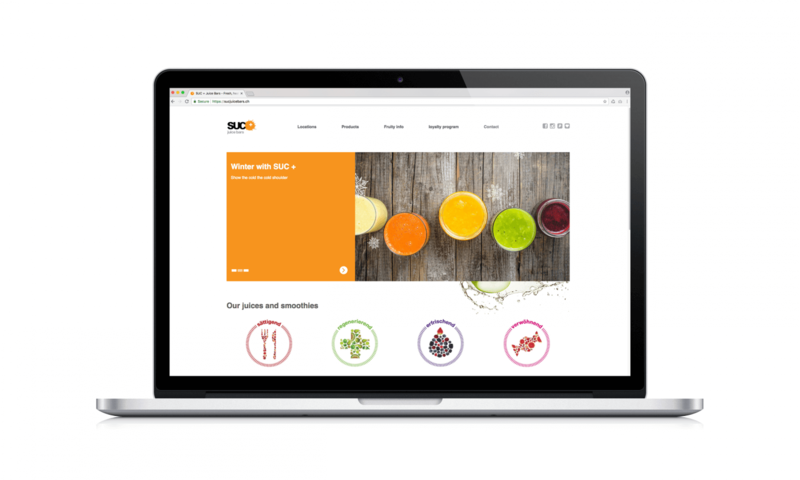 SUC’s website allows them to content manage all areas as well as a custom built intranet for staff and bar managers which holds a variety of training and sales resource materials. We also automate email marketing for their seasonal and monthly campaigns and keep their social media streams up to date.